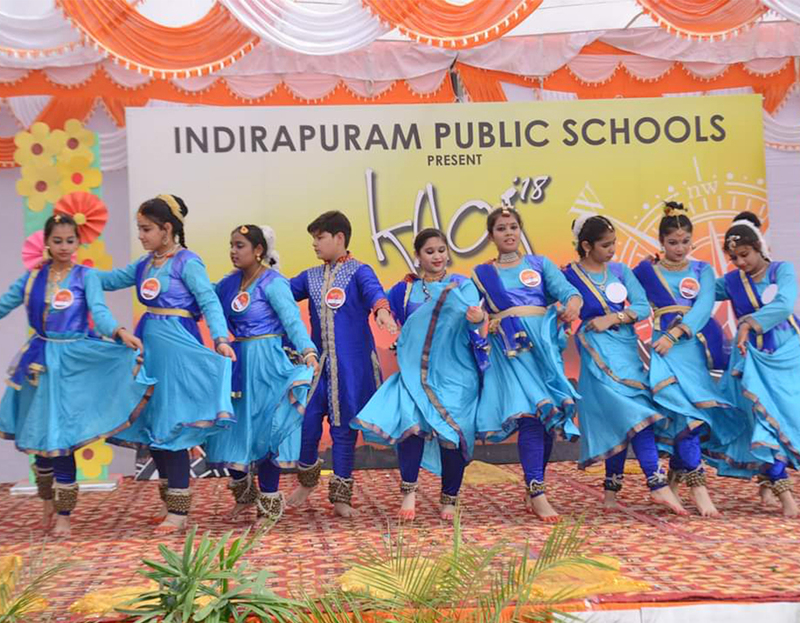 Our school participated in Khoj 2018, an inter school competition organized by Indirapuram Public School on 11th-12th Oct. 2018. Around 72 schools from NCR participated in a total of 22 events. Chaturya Udaygiri of Prep Pink won the 3rd position in ethnic ink. Navya Tripathi (I), Anayata Rai(I), Riyanshi Gautam(I), Manya Sharma(II), Akriti Jha(II), Bhoomi Rana(II), Ridhaan Singh Rawat(II), Kamakshi Rawat(II) won the 2nd position in Choral Cluster. In Fabulous Fables— a story enactment event, team of Kshitiz Singh(VII), Anwesha Pramanik(VI), Sneha Tripathi(VI), Tasneem(VII) & Aishwarya(VIII) won the 3rd position. In wall graffiti team of Supriya(XI) & Shivangi(X) won the 2nd position. In Fusion Ensemble—a musical presentation team of Kunal Rawat, Suhani, Amaan, Shivam, Sonali of class IX & Vishal (X) won the 2nd position. In Fusion Dance Competition team of Vijwal, Lakshita, Lavina, Kashish, Mehak of class IX & Khushi (X), Anushsree, Aditi, Aritra of class XI & Shruti (XII) won the first prize. Based on the overall result ,our school was declared the best school among the 72 participating schools & won the “Winners Rolling Trophy”.